Turn a treasured photograph into a keepsake or a charming drawing into the perfect gift for mom, dad and grandparents. Pictured on the left are the mugs I gave to my son and his wife last Christmas. The tractor was photographed by me while broken down on our driveway. It was his grandfather's and has been lovingly restored (and now running). The darling drawing is my grandson's and it couldn't be cuter on this mug! 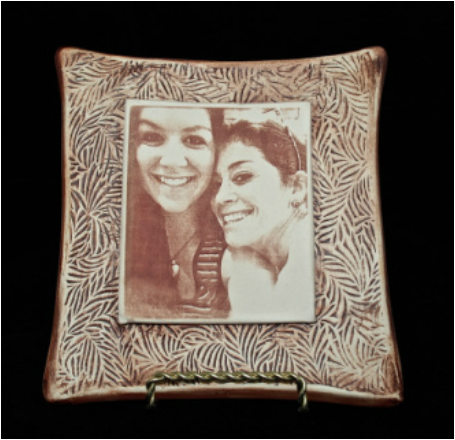 I can take most any drawing or photograph and place it on your choice of pottery. ​Contact me with questions or comments and let's get started!